Summer is on it’s way and the most important thing on your checklist should be how to take care of beaches apart from beach bodies and hot swim wear! We love hitting the sea every summer but no one gives much thought to the state we leave the beaches in after all the revelry. Cigarette buts, plastic bottles, pile of cans, pet discharge, plastic bags from shopping and food packaging…the trash we generate thoughtlessly really causes a lot of ocean pollution. This Save Oceans Guide in partnership with ModestFish.com tells you how to take care of beaches while having the time of your life this summer and every summer henceforth! Every year, 100,000 marine mammals and turtles and 1 million seabirds are killed by marine plastic pollution– much of that plastic gets washed into the sea from coastlines. Toxic metals that get washed into the sea with our littering and other land based activities can destroy the biochemistry, behavior, reproduction, and growth in marine life. A 2017 study stated that a huge variety of marine life had plastic in them which included- 233 marine species, 100% of marine turtles, 36% of seals, 59% of whales, and 59% of seabirds, 92 species of fish and 6 species of invertebrates! 98% of albatross studied are found to have ingested some kind of plastic debris. 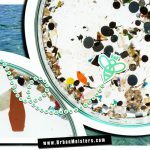 It is a confirmed fact that over 80% of this marine pollution comes from land based activities. Our beach revelry every summer is one of them! So while we all love sun, sand and surf, it’s also our responsibility to take care of the beaches. The trash we generate on the beaches is tremendous. 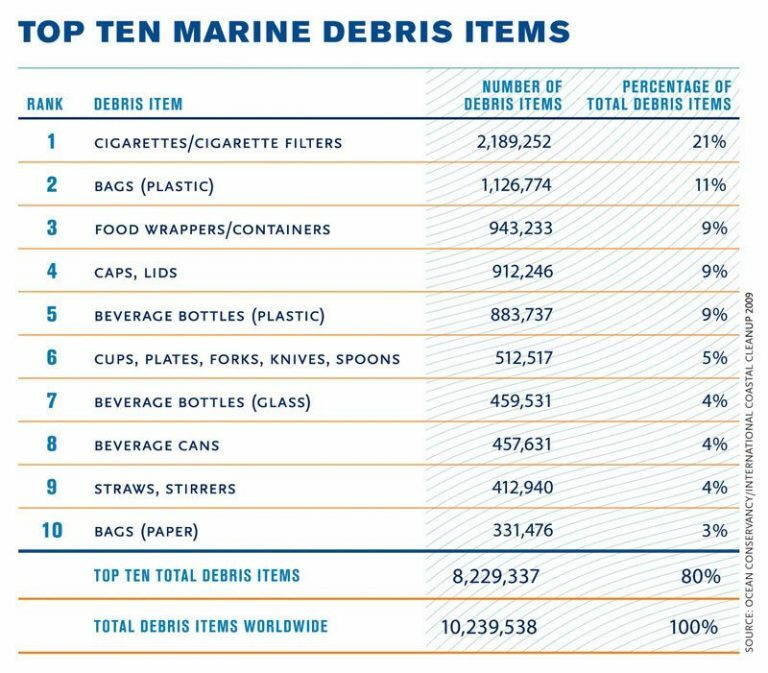 Here’s a list of top 10 marine debris items taken from the comprehensive ocean pollution guide on ModestFish.com – want to match that against all that you’ve been leaving behind on the beaches every summer? 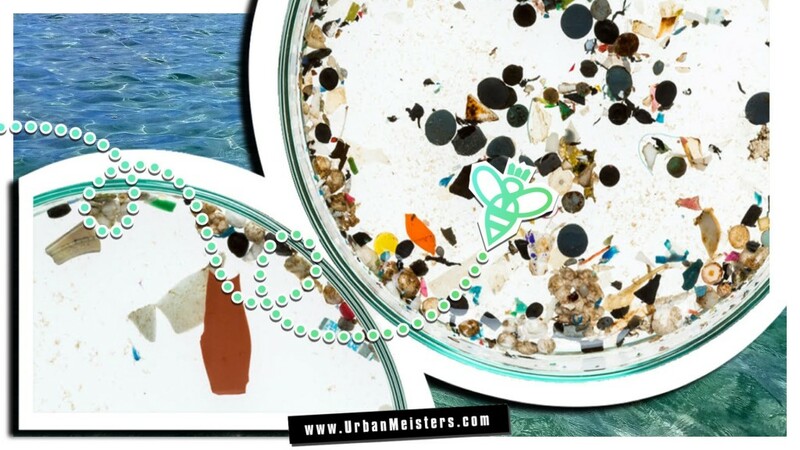 When you take plastic to the beach, whether you mean to or not, it tends to stay there. Plastic bottles and bags are easily taken by wind and transported to where they should not be–the ocean. 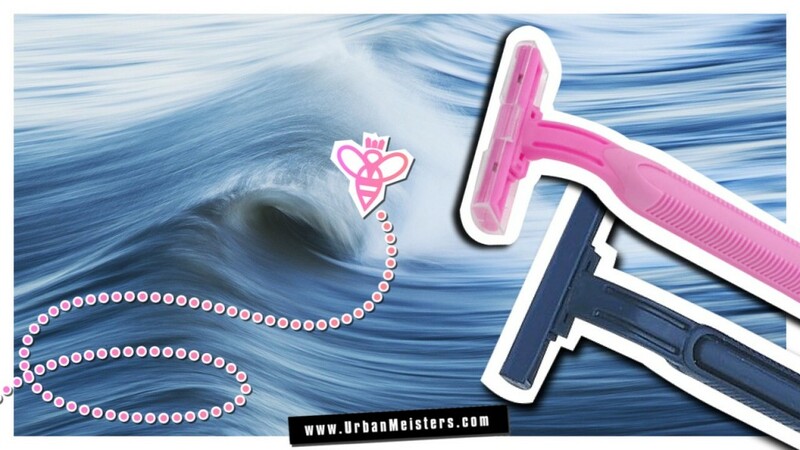 And even if you do throw them in the trash, the trash cans often overflow and end up being blown away as well. If you do a little prep by pouring bags of chips into reusable plastic containers and bring stainless steel water bottles, you’re less likely to forget them. We know all of us end up purchasing something at the beach so just carry your own trash bags to collect the waste. Potentially hundreds of metric tons of sunscreen enters the ocean every year many of which contain chemicals known to kill off algae. Coral reefs depend on these for sustenance. Sunscreens also bleach corals. So switch over to an ocean friendly and biodegradable sunscreen which is better for you as well as the ocean’s eco-system. Every year, Ocean Conservancy organizes the International Coastal Cleanup. 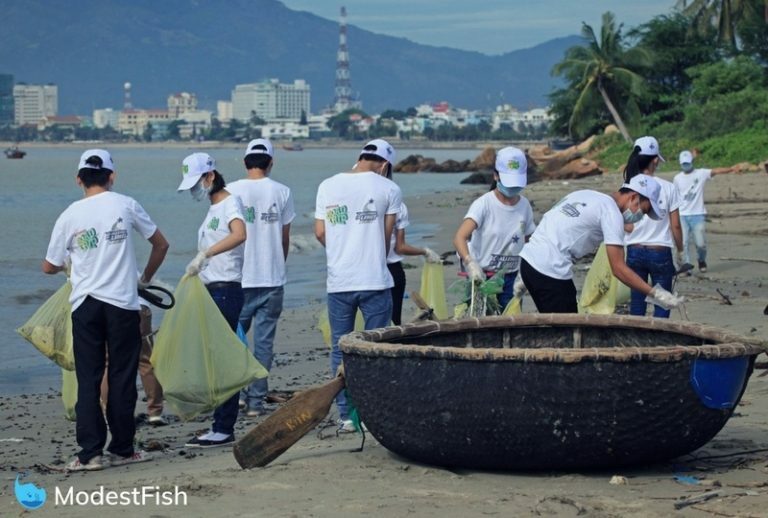 This global event asks volunteers to collect plastic and other garbage from coastal areas and waterways. It will take place on September 15th in 2018. They also give out DIY toolkit to help you organize clean-ups in your own community and to keep track of your cleanup efforts, you can use Ocean Conservancy’s Clean Swell App. You can track and share your progress on social media and submit your data directly to the global ocean trash database to help support the effort. Read pet food labels and consider how sustainable the diet is. Never flush cat litter, because it can contain pathogens harmful to marine life. 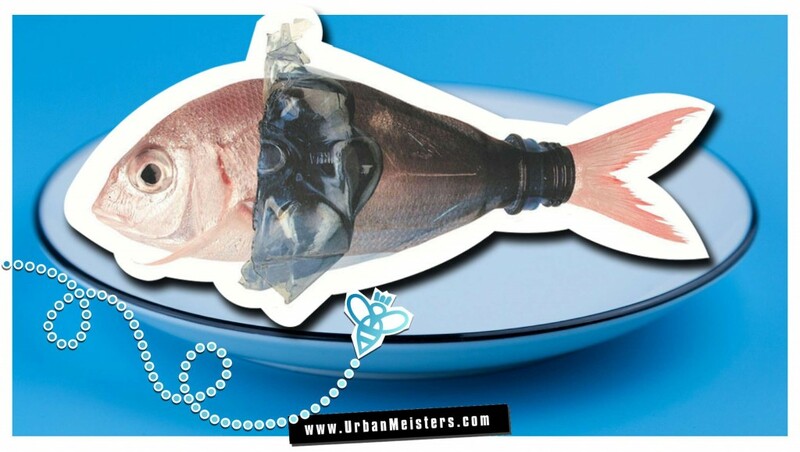 Never release aquarium fish or other marine creatures into oceans, rivers, or other bodies of water. You risk introducing non-native species harmful to existing ecosystems. Don’t buy live saltwater fish caught in the wild for your aquarium. Be sure to choose marine life that are acquired safely, and sustainably. 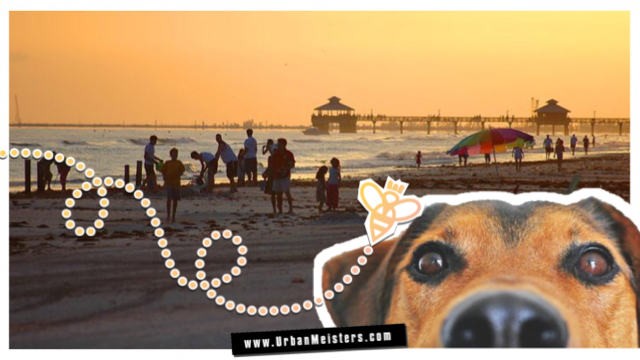 Pick up after your pets on beaches- and everywhere else! So this summer keep these tips on how to take care of beaches in mind while having fun. Remember it’s all about making simple good living green choices. Hope you found this Save Oceans Guide helpful because we want to give you all aspects of helping reduce marine pollution. 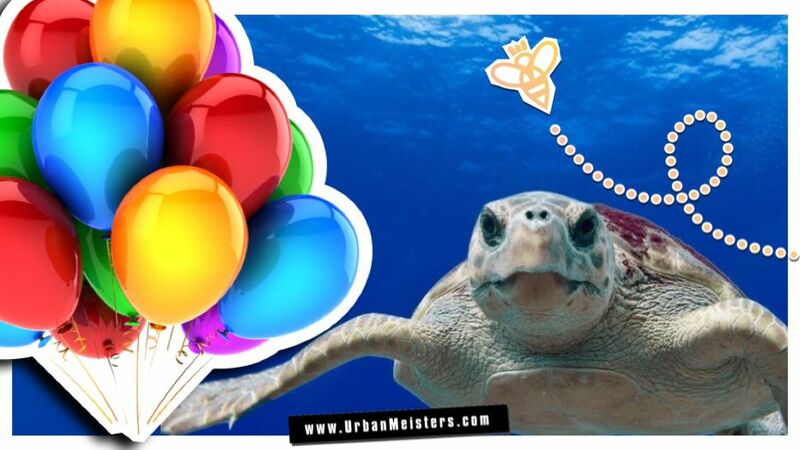 If you have more suggestions then write to us on contact@urbanmeisters.com or post your tip on social media with #GreeningIsWinning & tag @urbanmeisters (on Facebook, Instagram & Twitter). Let’s share our green living hacks.